Our coach to the match at Wrexham on Boxing Day is full. We didn’t receive enough bookings in time to consider running a second coach. We have some names on a reserve list, so if you are booked on but can no longer travel please let us know. 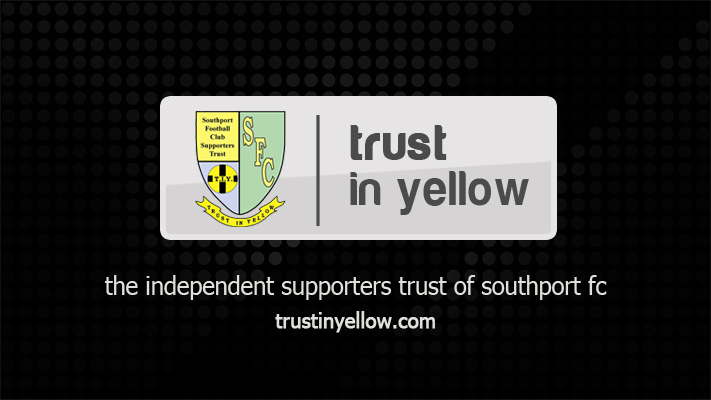 Seats are available on the Trust in Yellow coach to the match at Wrexham on Boxing Day. 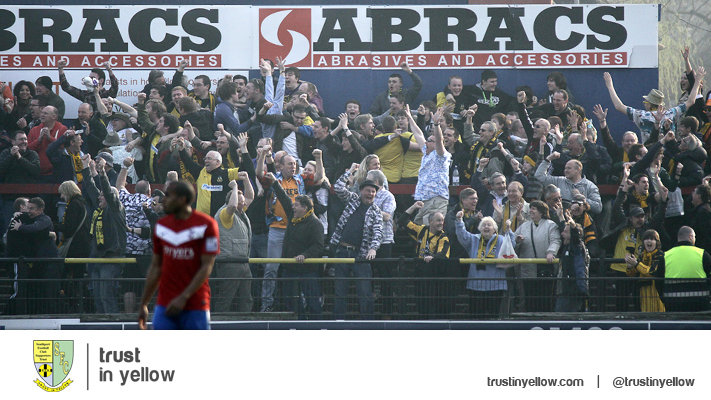 The coach departs the Merseyrail Community Stadium at 11.45am with a fare of £10 members and £13 non-members. The Trust’s Southport FC calendar for 2017 will also be available on Saturday from the club shop. The calendar is a limited edition with only 100 copies available for a special offer price of £6. Our coach to the Buildbase FA Trophy first round tie at Farsley Celtic on Saturday will definitely be running. We are offering this trip at the reduced prices of £13 members, £10 under 16 members and £16 non-members. The coach leaves the Merseyrail Community Stadium at 11.30am having picked up at the usual earlier places. To book, text Bill Sloan on 07952056385 or e-mail wjsloan@blueyonder.co.uk. 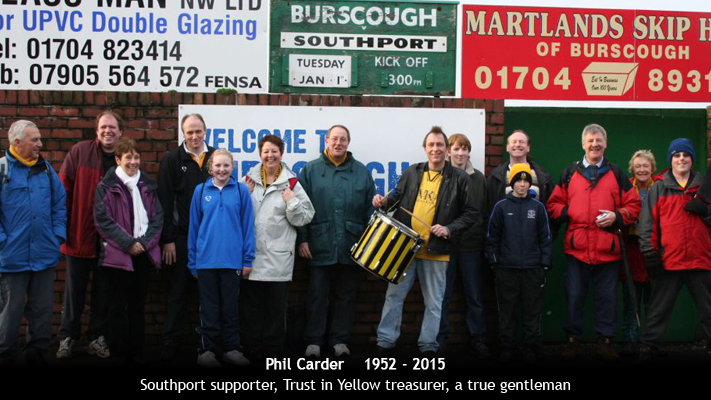 Trust in Yellow’s new Southport FC calendar for 2017 is now available to buy online or reserve. The calendar is a limited edition with only 100 copies available, each for the special offer price of £6, and is a great buy for all Southport fans for the year ahead. 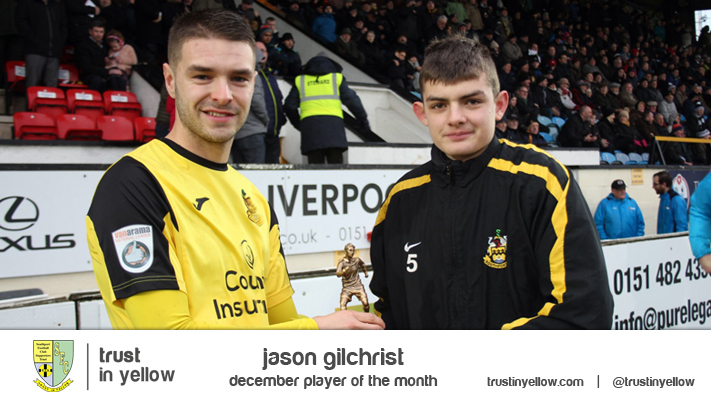 The theme for this year’s calendar is Southport’s memorable matches, providing a great look back at some of the club’s best moments. From FA Cup upsets to championship-winning games and an appearance at the old Wembley Stadium, the calendar features a host of stand-out games. There have been some notable wins, such as cup games with Cardiff City and Notts County, while all four of the club’s title-winning games are included - against Hartlepool United, Emley, Harrogate Town and Eastwood Town. In football, there are times when the occasion is still remembered despite the result and even in defeat, matches against Cheltenham Town in the 1998 FA Trophy final and, more recently, the visit to Derby County, have provided special moments for fans. The calendar is now available to reserve and collect in the club shop. To reserve your copy, e-mail Rob Urwin at programme@southportfc.net. It can then be collected during extra opening hours which will be confirmed shortly, or at the home match against Eastleigh on December 16. Alternatively, you can buy the calendar online and have it posted to you. The total price including postage and packaging is £8. 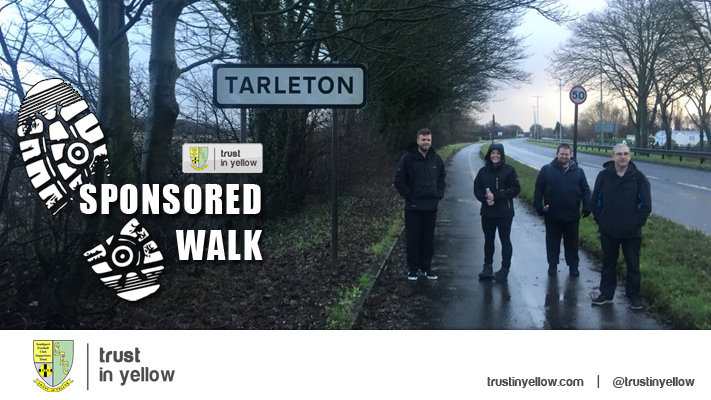 It can be bought by PayPal to programme@southportfc.net or by cheque to Trust in Yellow, 19 Hillsview Road, Ainsdale, Southport. PR8 3PW. Last year, the calendar proved very popular and with only 100 copies available, it is a limited edition product so please don’t delay buying it.